- A new version of Google Web Designer is available! 9 new feature areas have been implemented, and 38 issues have been fixed as part of this release. Read below for additional details. - Added tooltips: "Current time" and "Timeline work area length"
Change the ad environment with the new File > Ad environment menu command. - Fixed issue with images not rendering on stage if width and height are set to "auto"
- When you have multiple documents open and the document tabs can't fit into a single row, Google Web Designer now displays additional filenames in an overflow menu instead of in more rows. 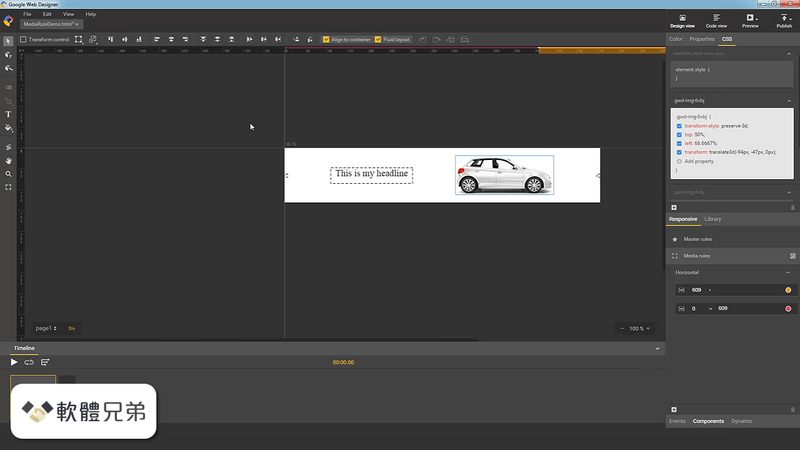 - You can detach panels and move them anywhere within the Google Web Designer window. - View and edit text properties in the new Text panel. These properties can also still be found in the Text tool options bar. - isMuted has been added as a method of the YouTube component in Google Web Designer. Example use: the following code detects whether the YouTube video is muted and unmutes it if so. - Fixed issue with renaming newly created folders by double-clicking "Untitled"
- [Panelsl] Fly-out menu icon gets hidden when docking 4 panels with long names. - The Ad Validator automatically checks for common issues with your ad. See the results in a panel as you're building your ad, and also when publishing. - The Template Gallery now offers a reorganized view of available templates. - Design view - Configure defaults for object outlines, snap settings, and whether rulers and the 3D grid are visible. - Dock panels on either the left or right side of the window, and move the timeline to the top or bottom. You can also close panels entirely if you don't want them to take up space (and open them again using the new Window menu). - Components are now grouped under folders to make them easier to find. 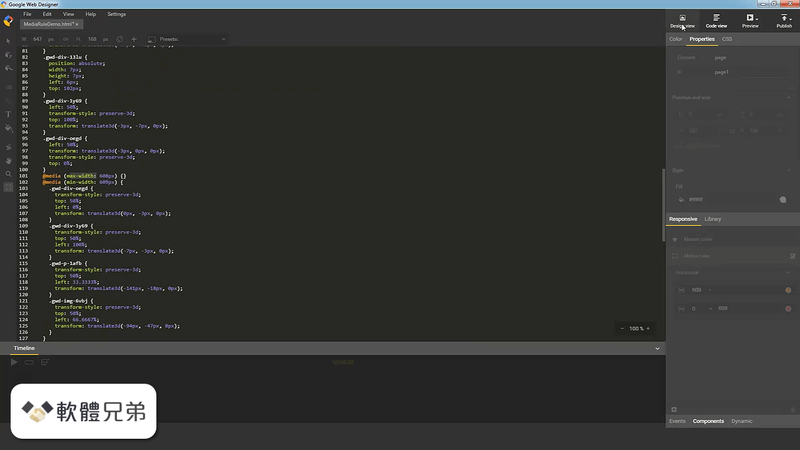 - Edit an element at multiple keyframes. 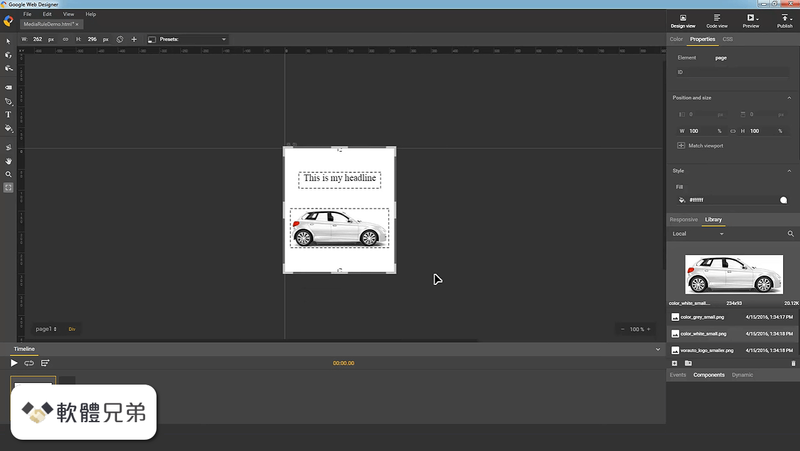 - Copy and paste a keyframe, even between different layers, pages, or documents. - Select keyframes using rectangular marquee selection. - Edit easing for multiple spans. - Duplicate layers, including all keyframes. - Animation previews can be paused and started from the playhead position or current thumbnail. - Problem with opening, saving and closing a HTML file that has an image tag with id=head in layer. A new version of Google Web Designer is available! 4 issues ... Google Web Designer automatically updates upon launch if you have an internet connection.